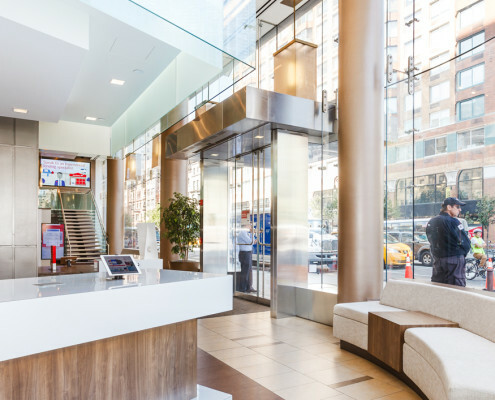 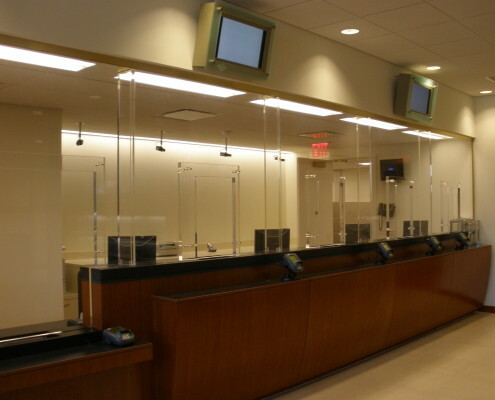 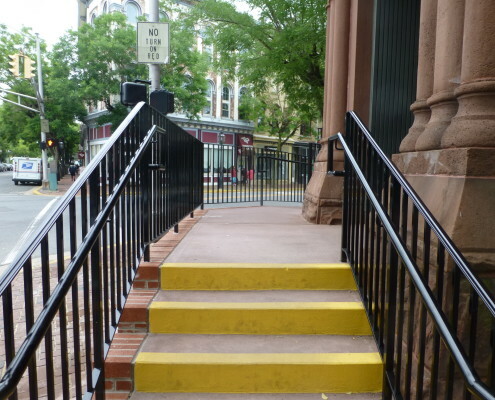 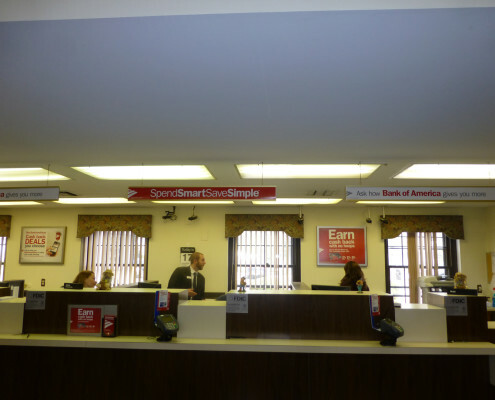 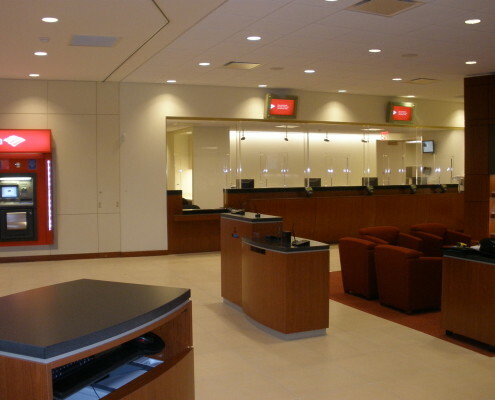 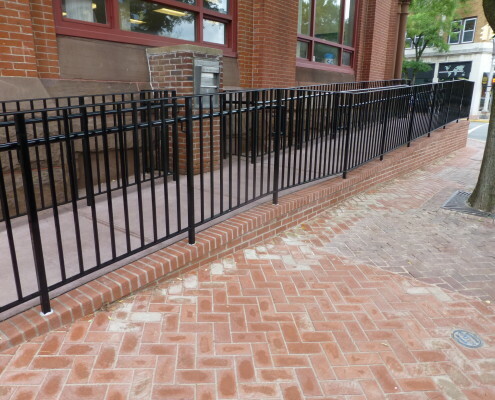 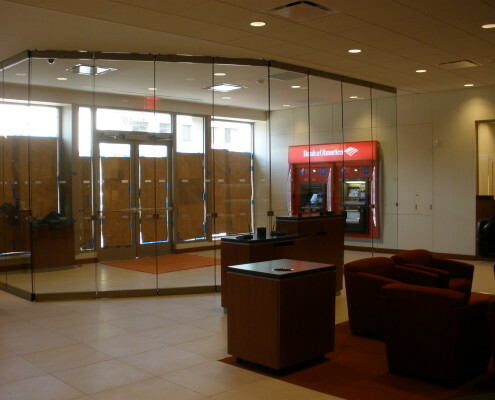 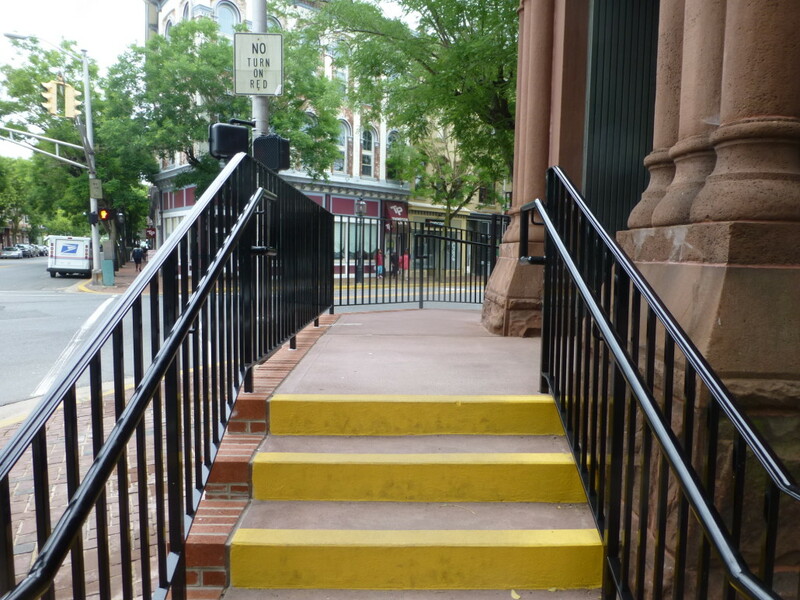 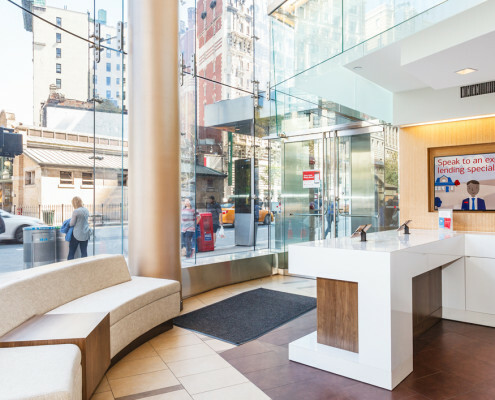 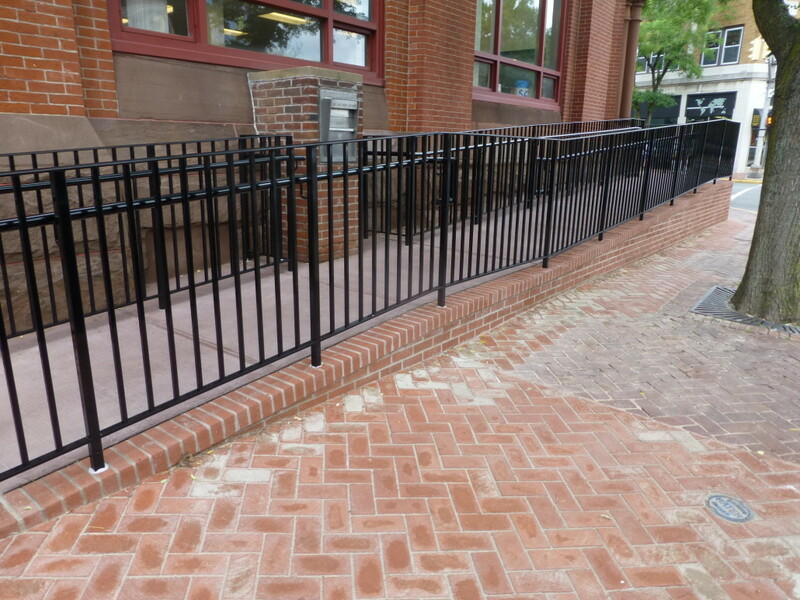 NYC existing commercial bank renovation. 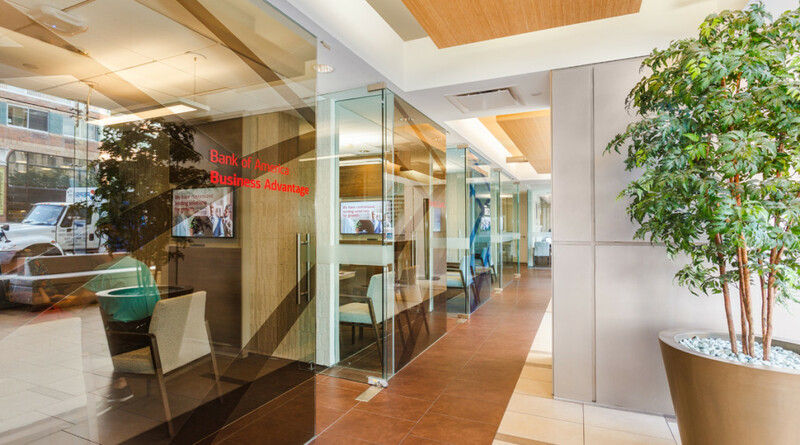 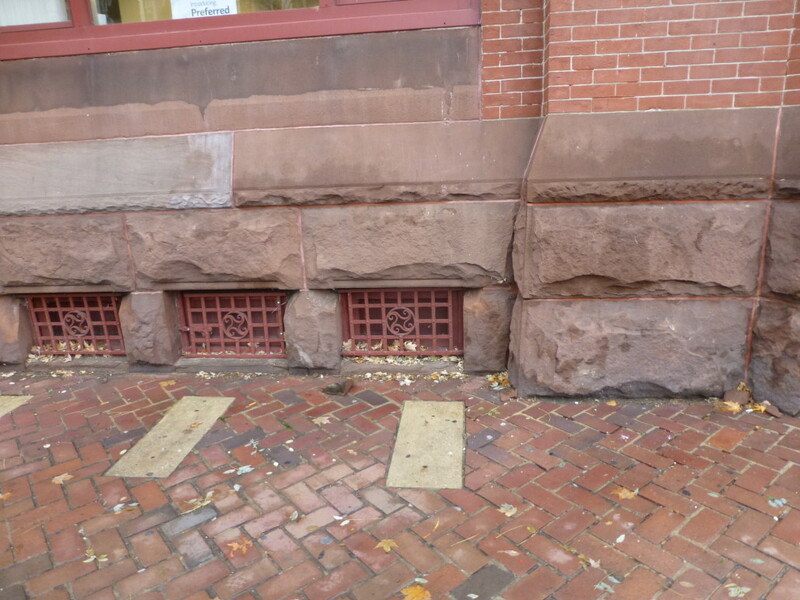 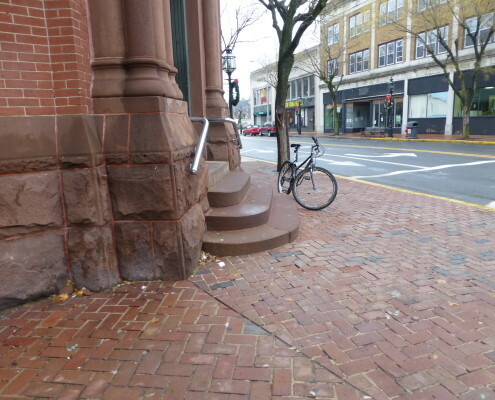 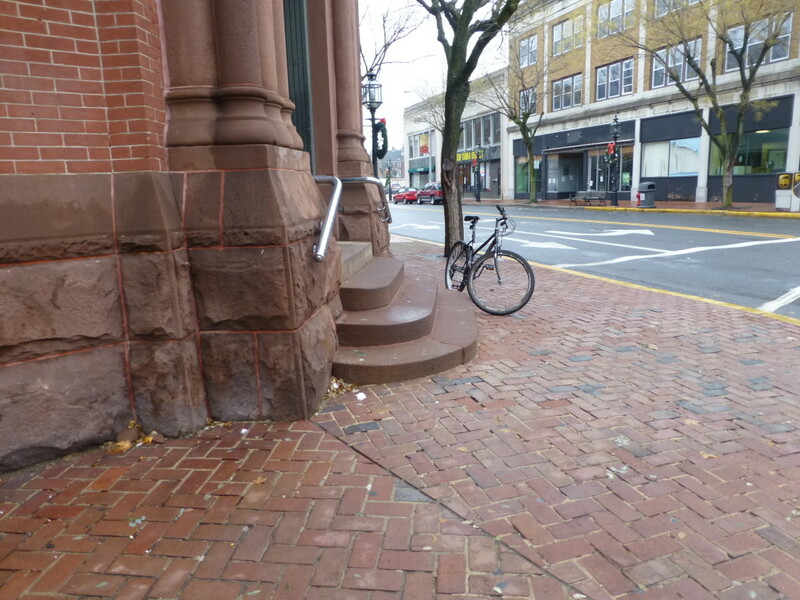 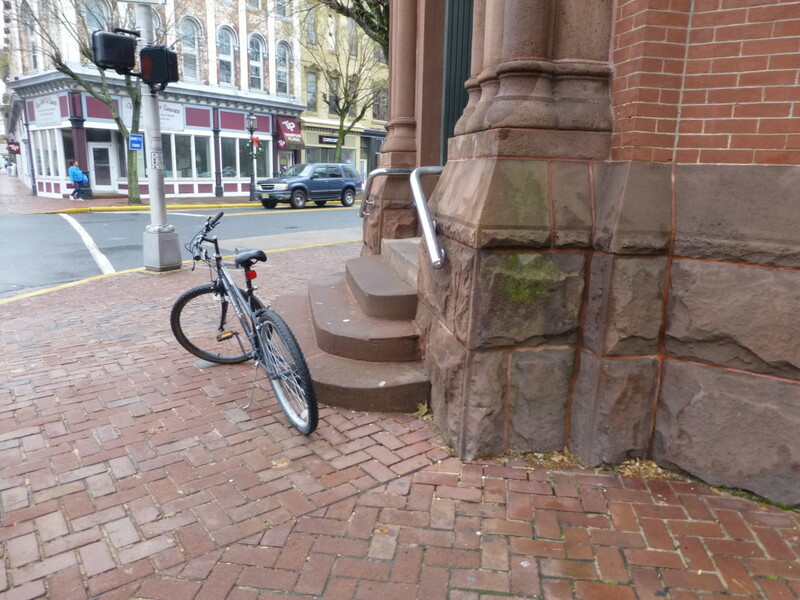 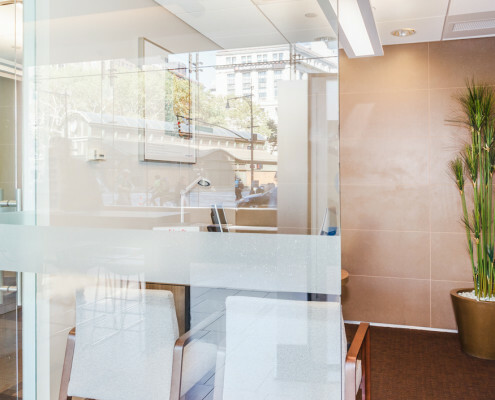 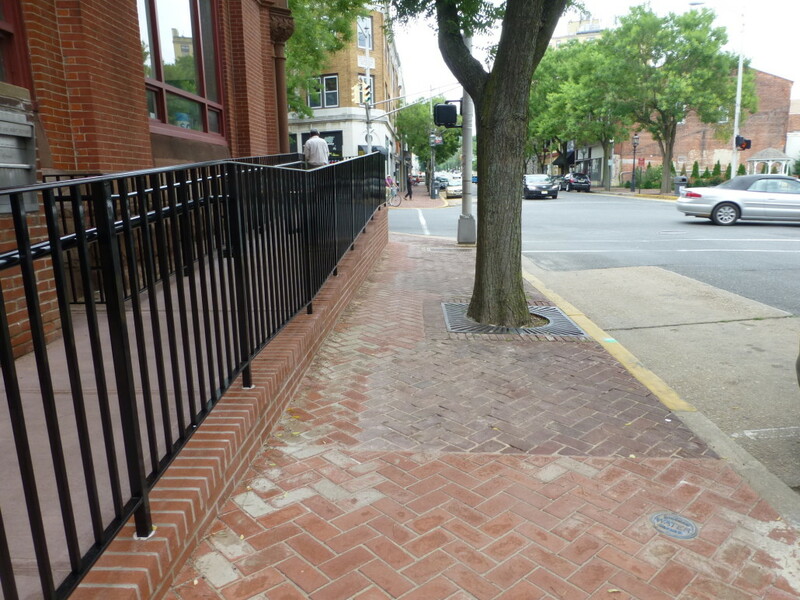 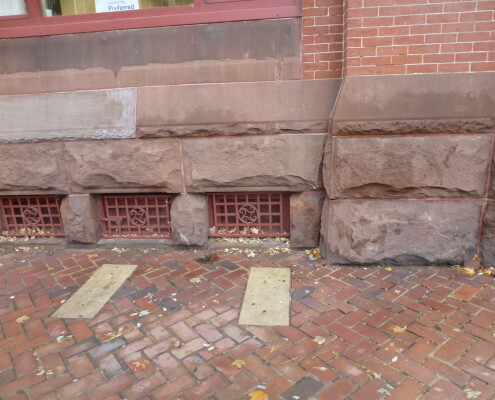 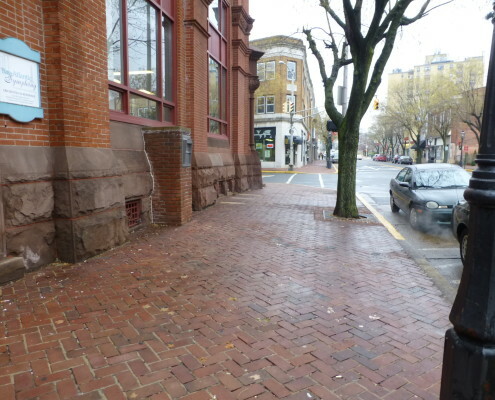 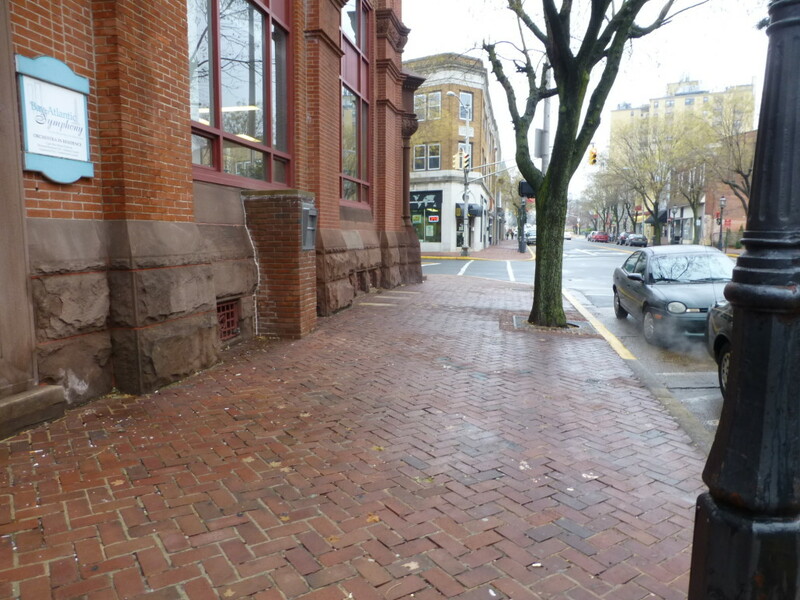 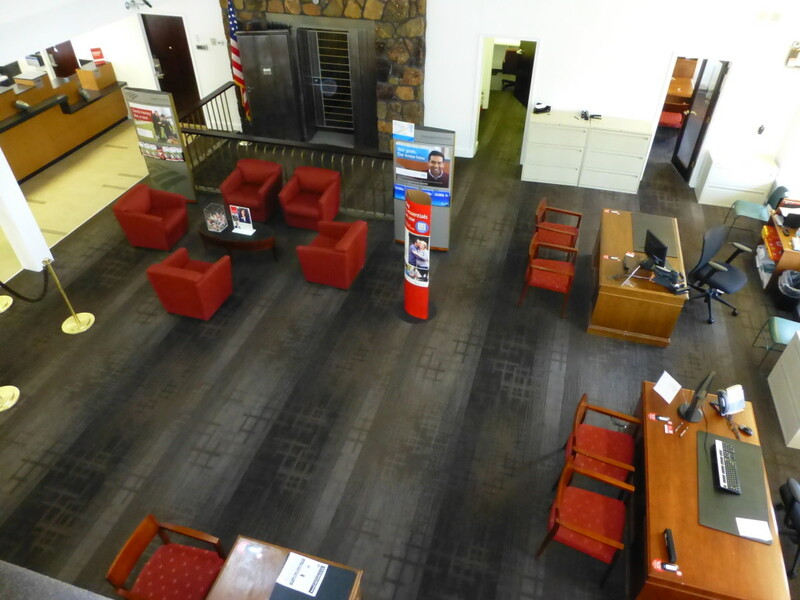 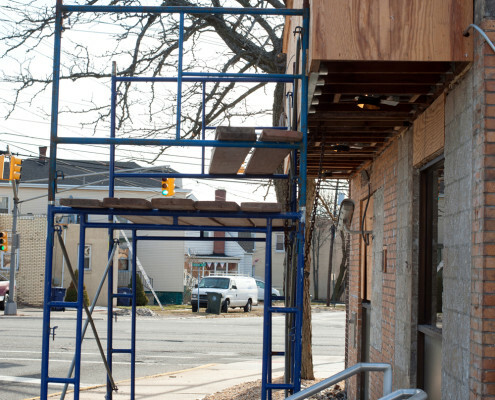 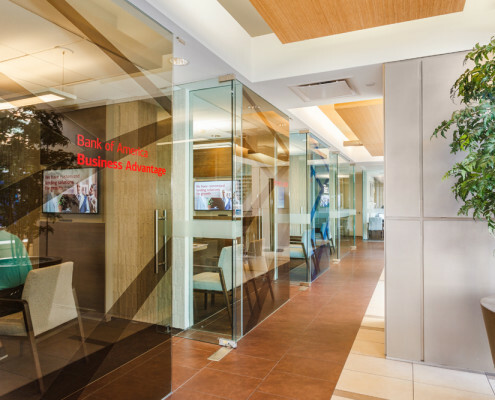 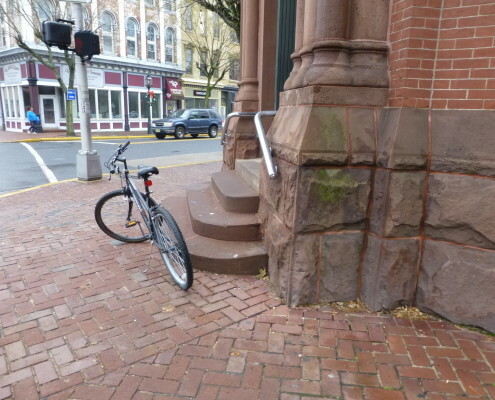 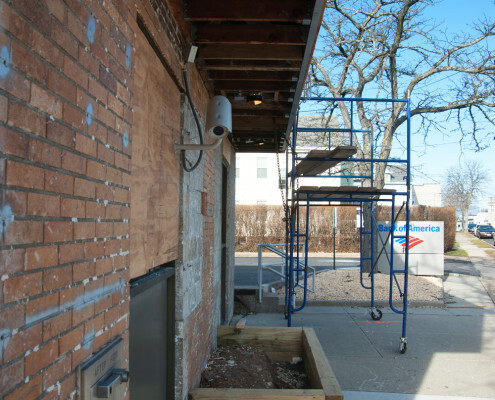 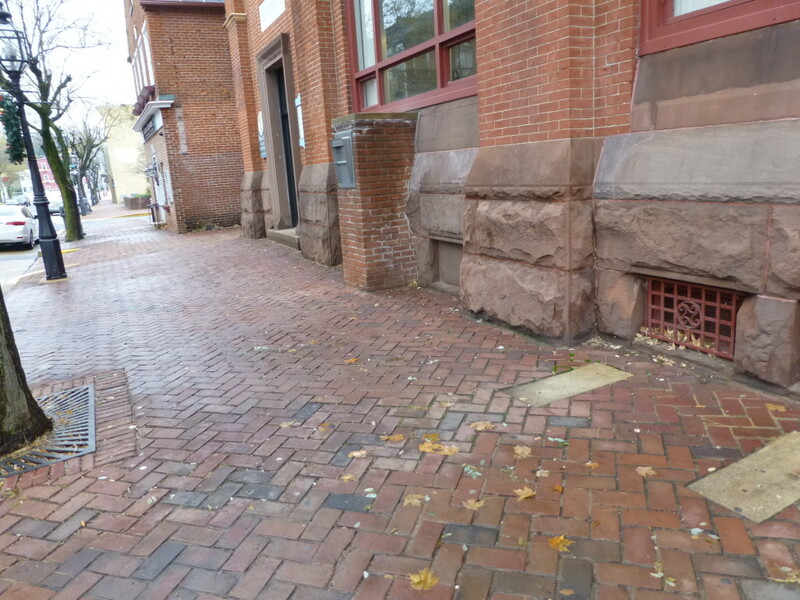 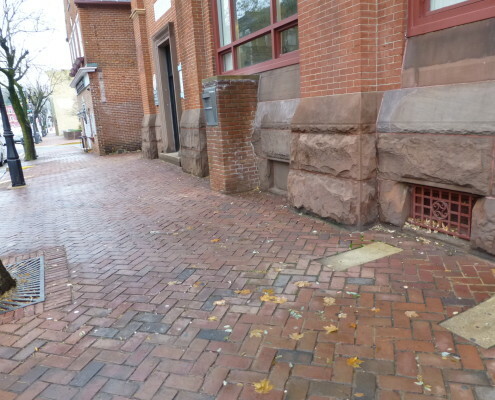 Multi-phased renovation to portions of the first floor and mezzanine levels of existing bank branch. 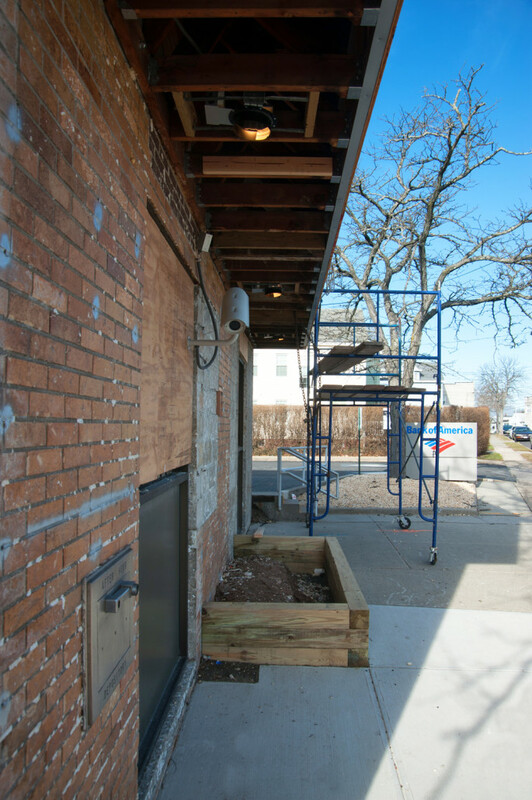 Removed existing non-load-bearing partitions. 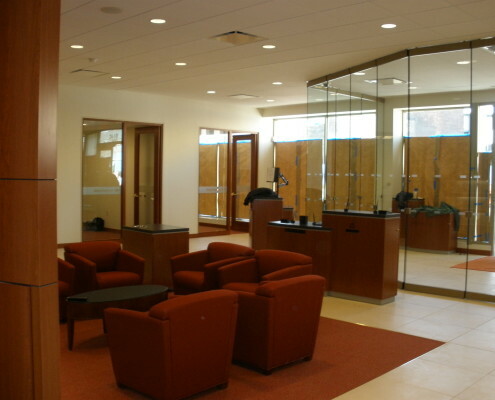 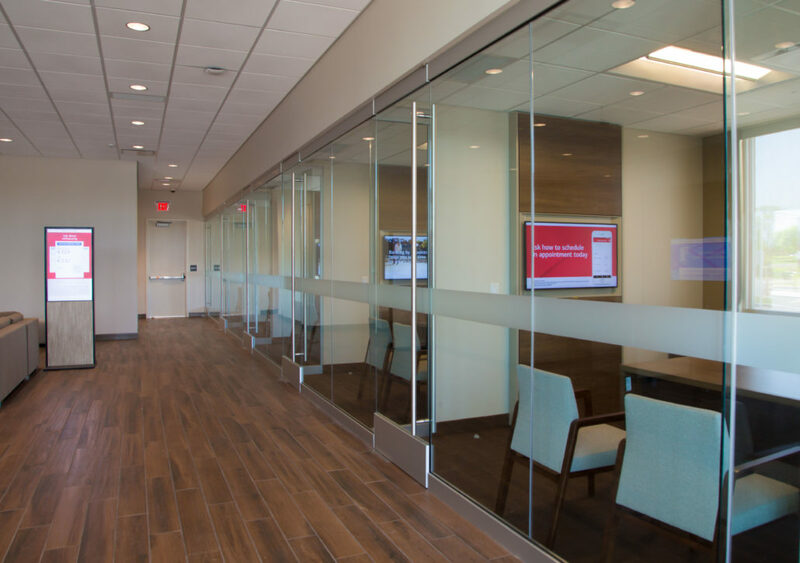 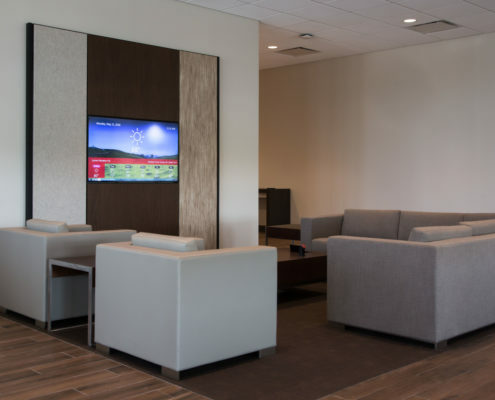 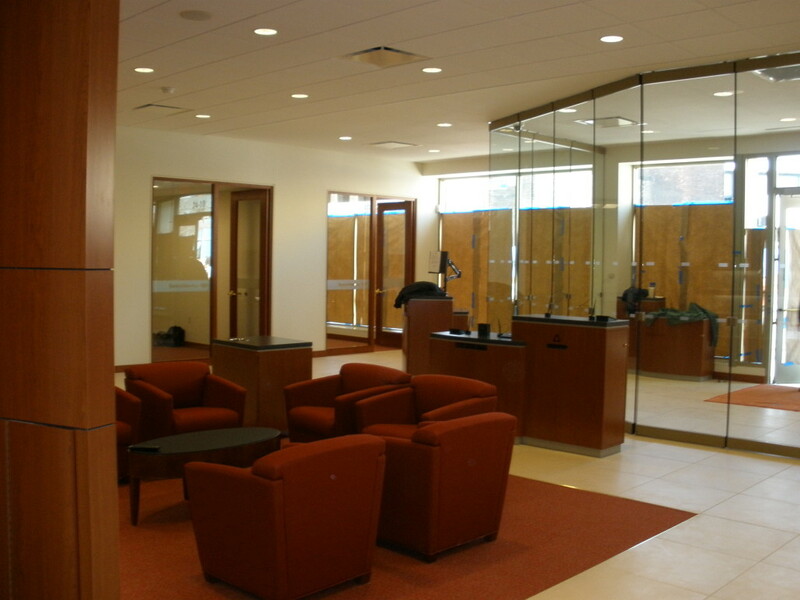 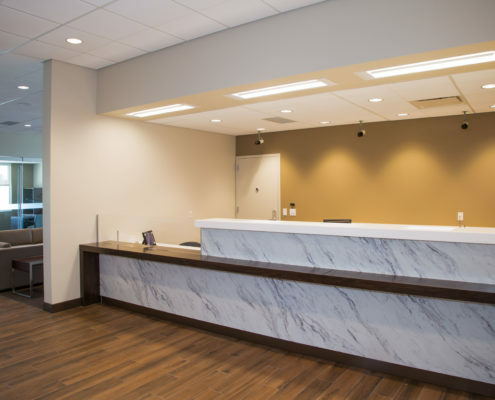 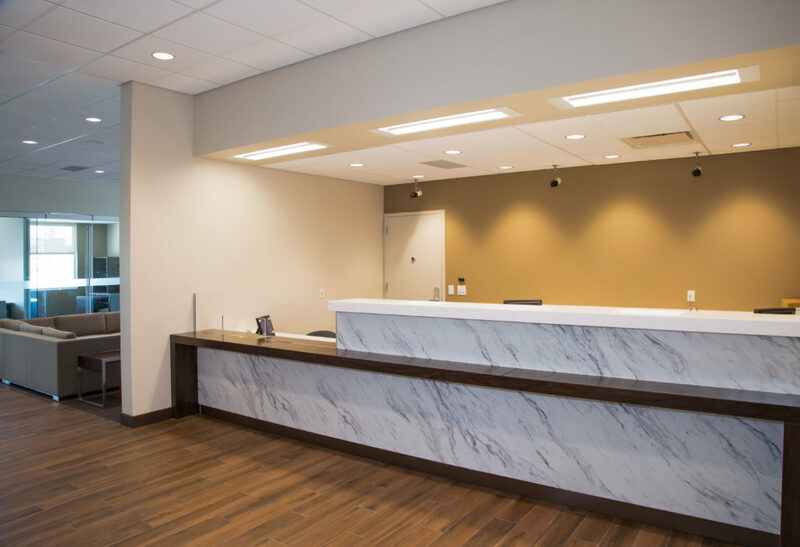 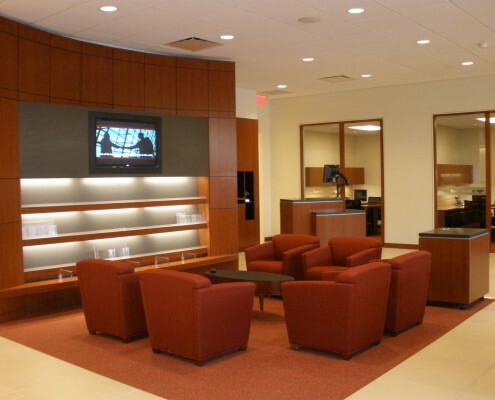 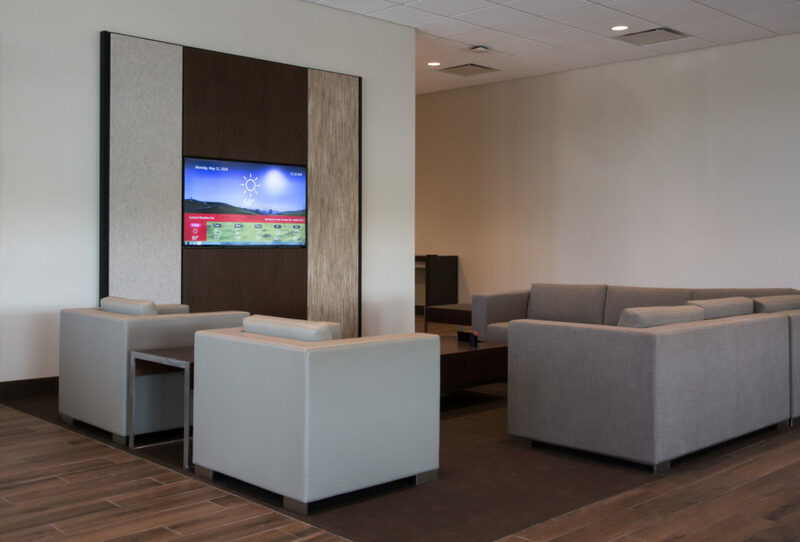 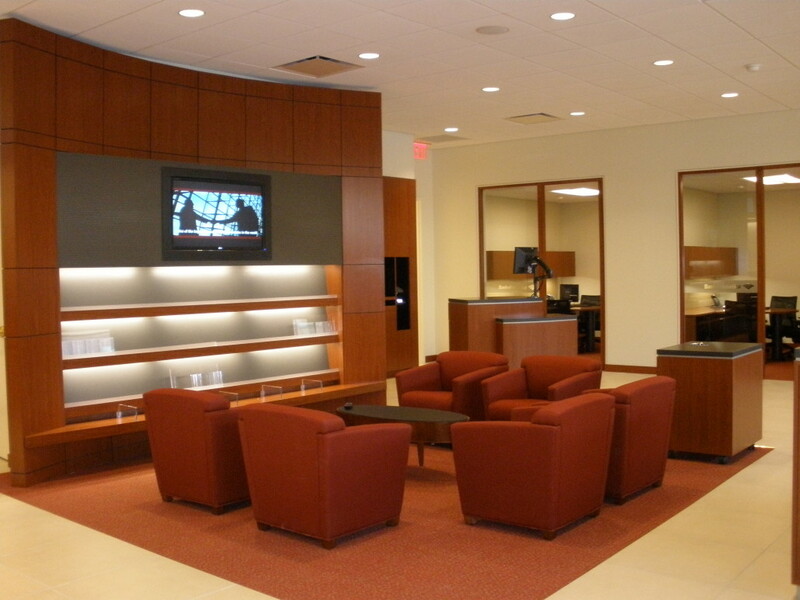 Modified existing ceilings, finishes, lighting, and mechanical systems. 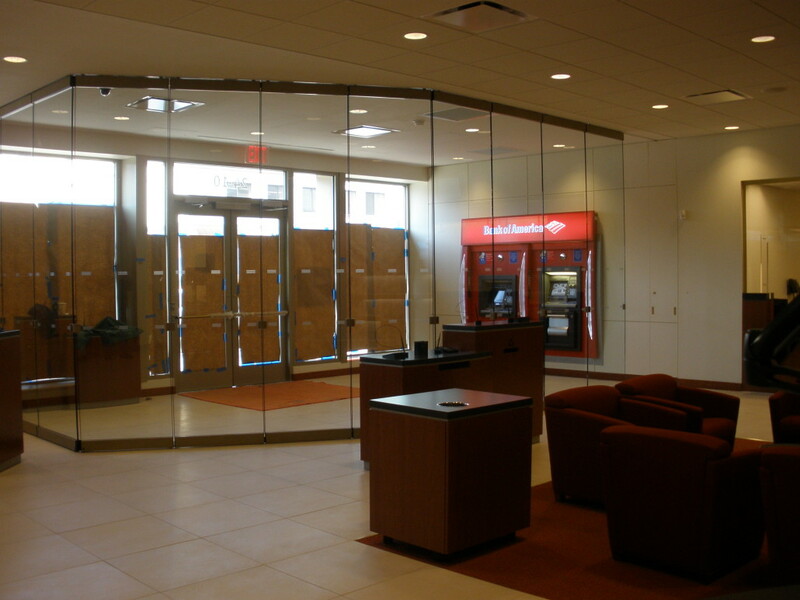 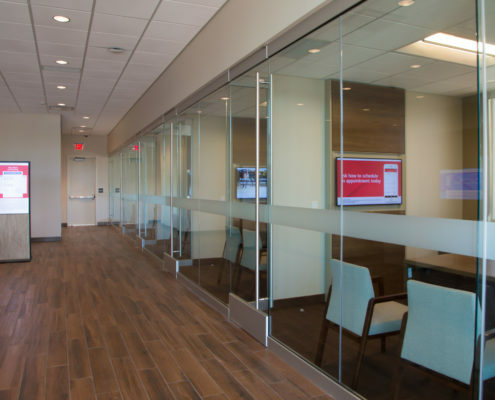 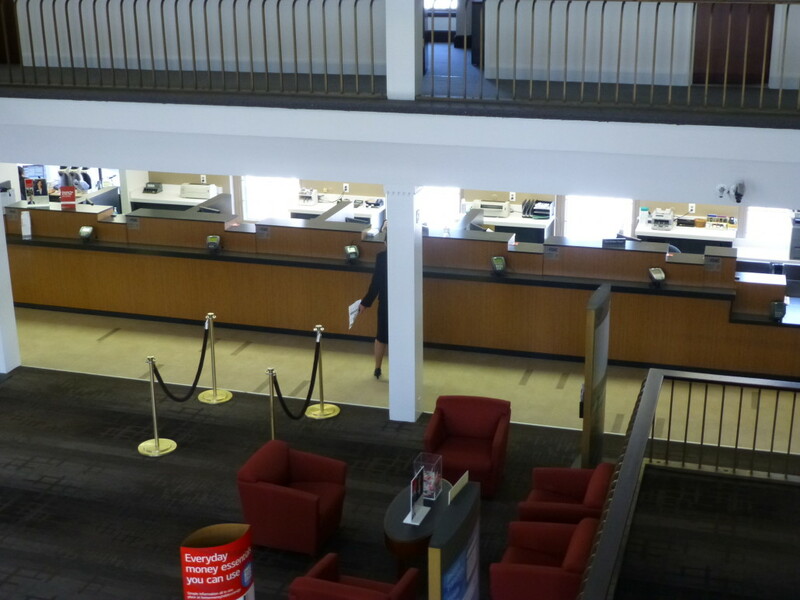 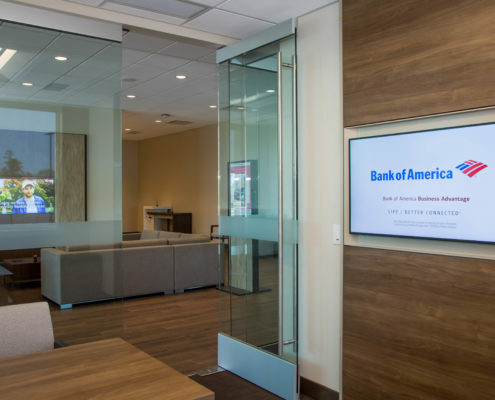 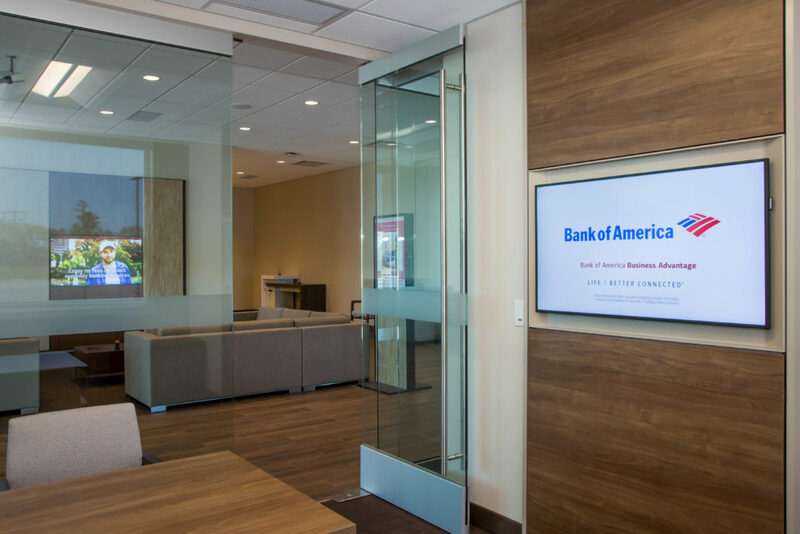 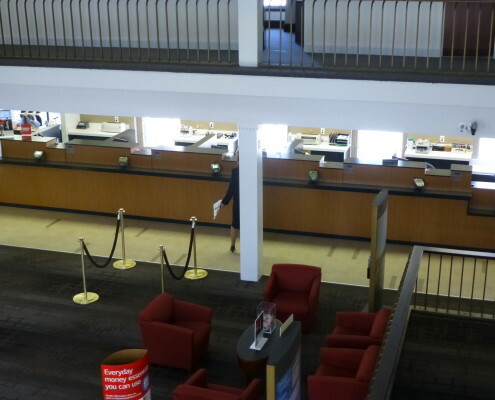 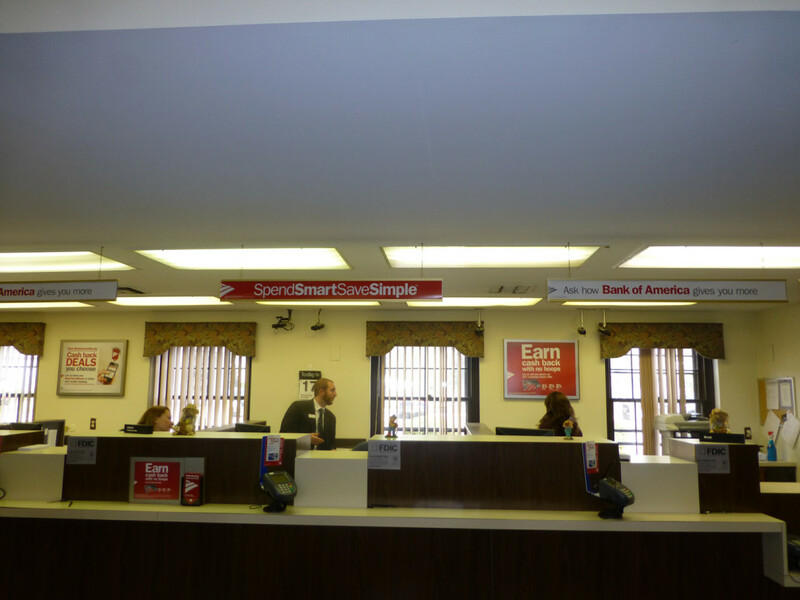 New retail banking facility of approximately 4,200 S/F. 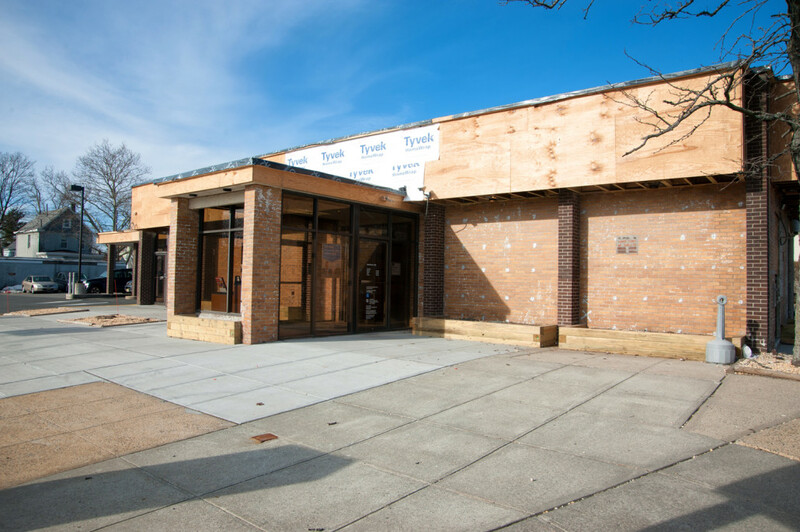 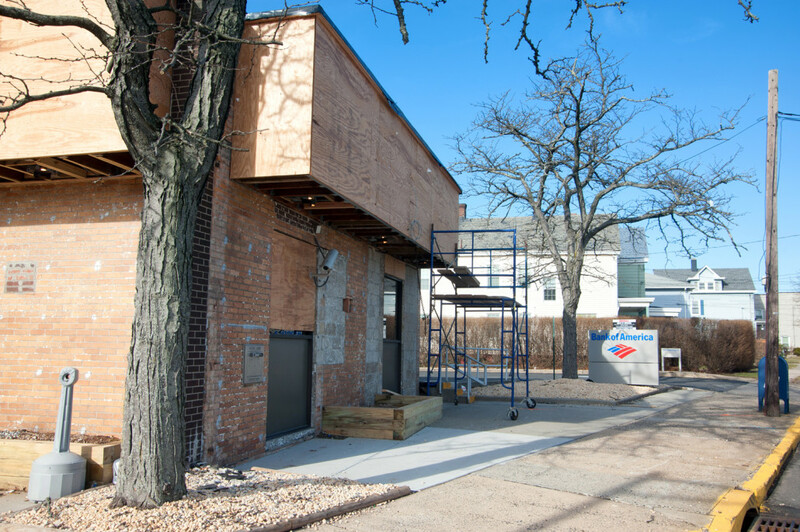 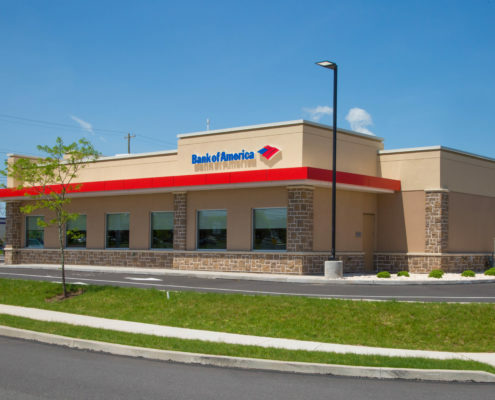 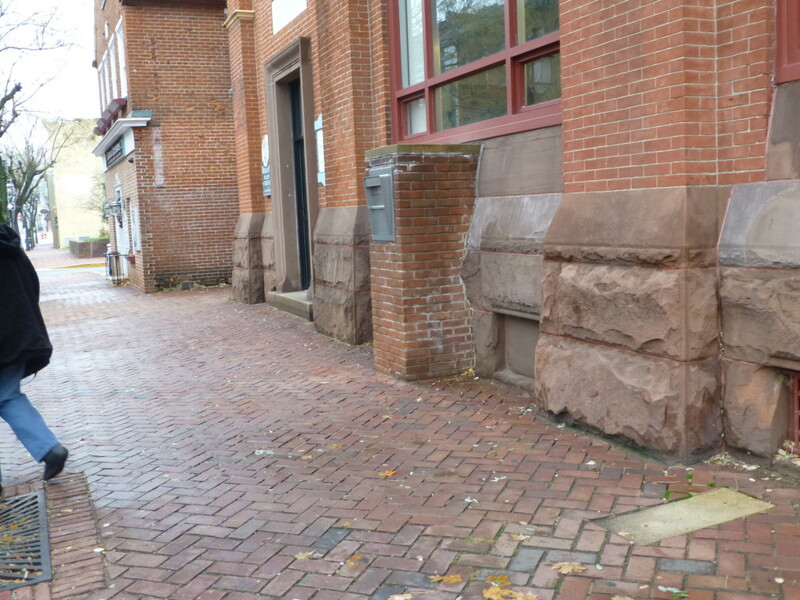 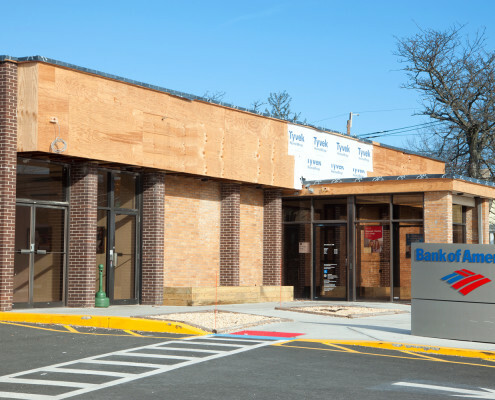 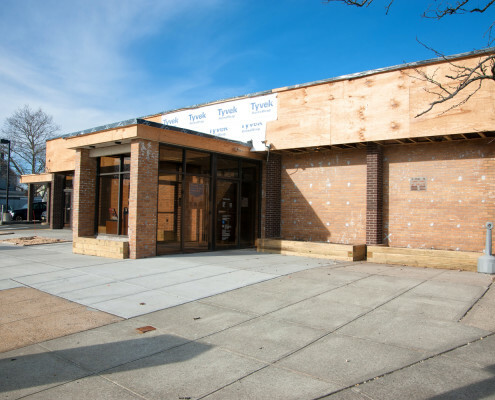 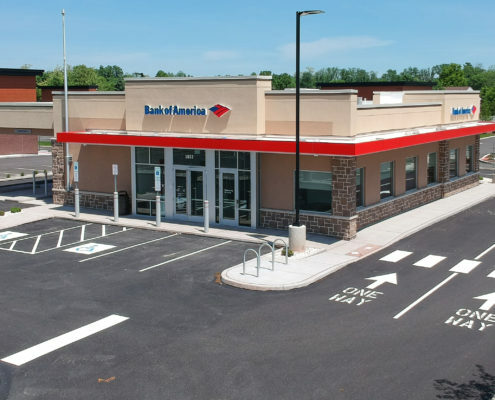 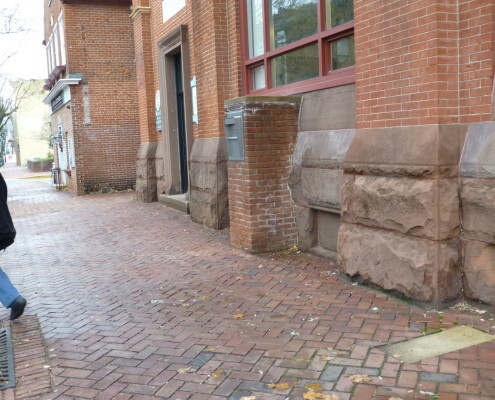 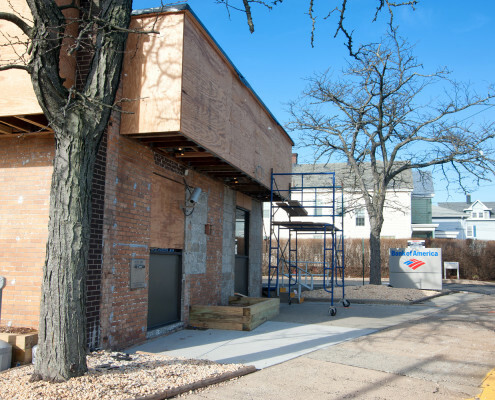 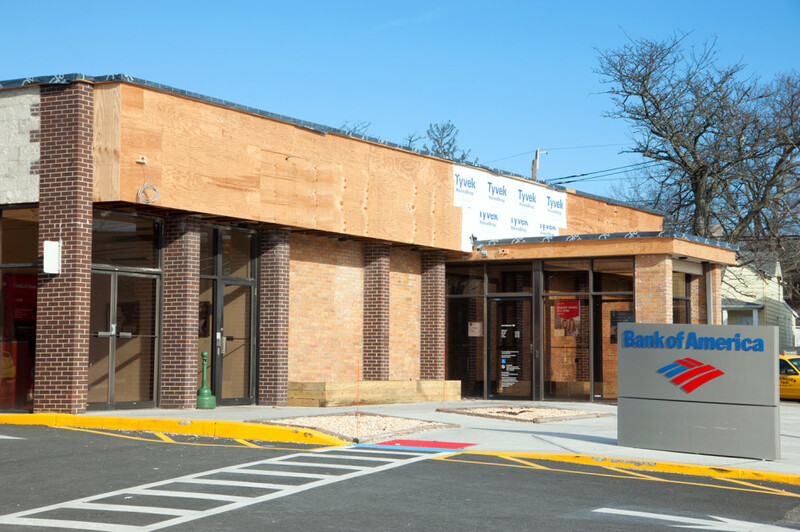 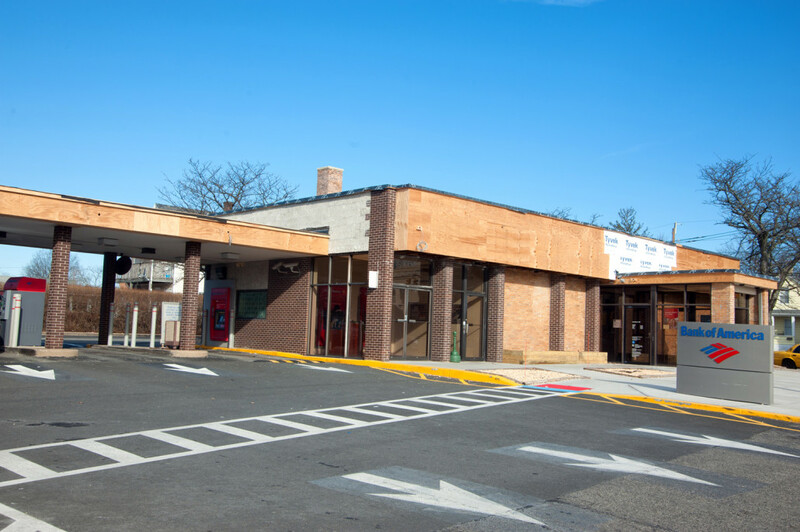 New retail banking facility in Royersford, PA.
Demolition and removal of the entire existing stucco façade; replace with new EIFS. 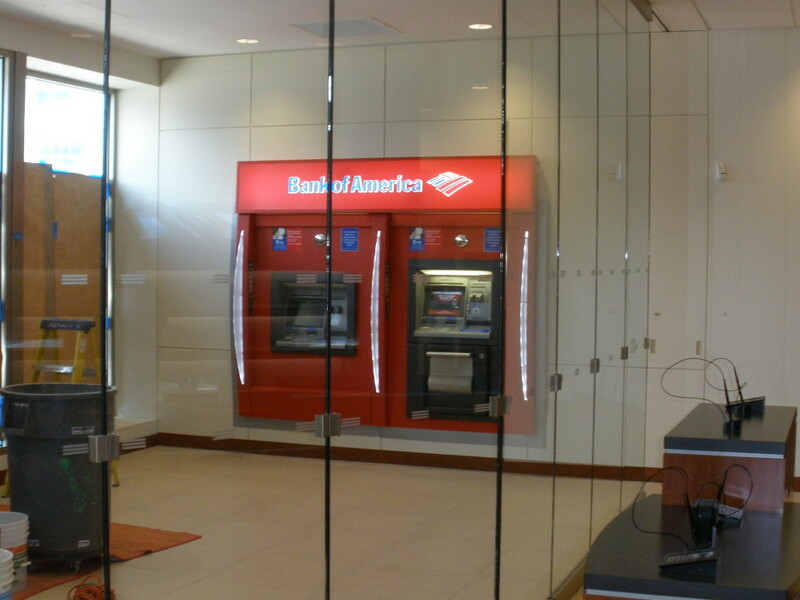 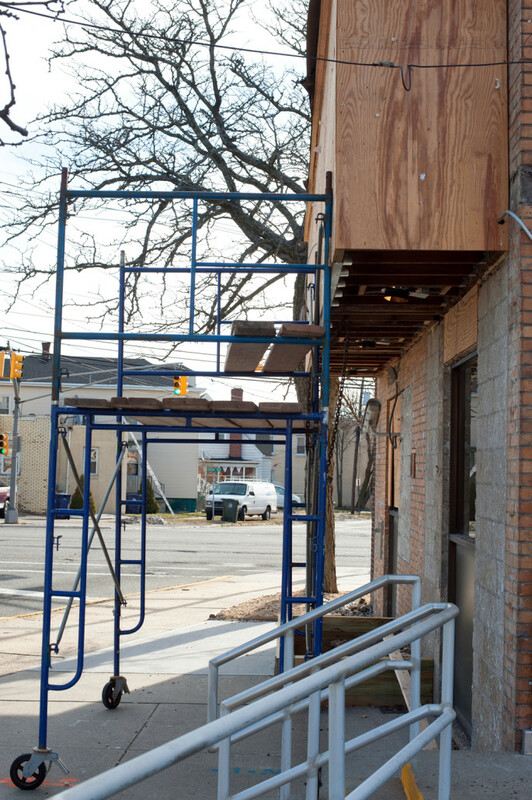 New aluminum and glass storefront entrances, windows and lighting. 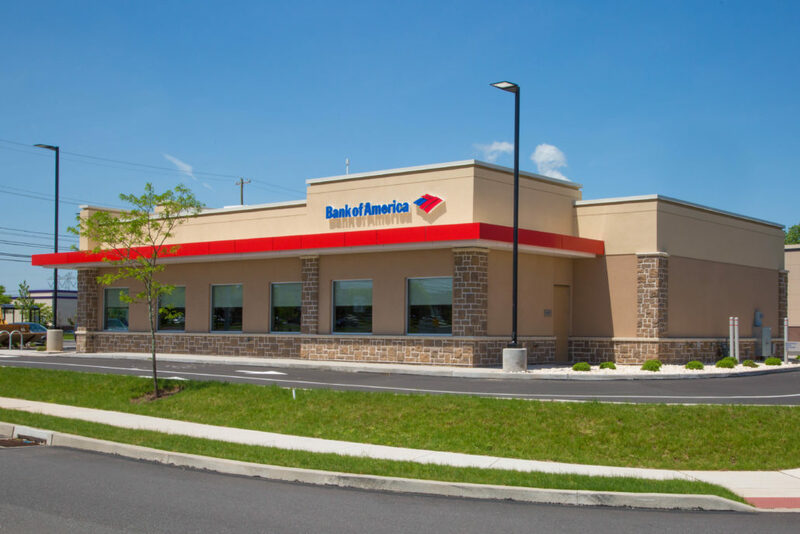 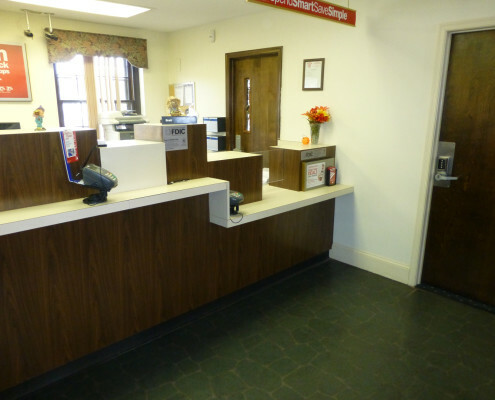 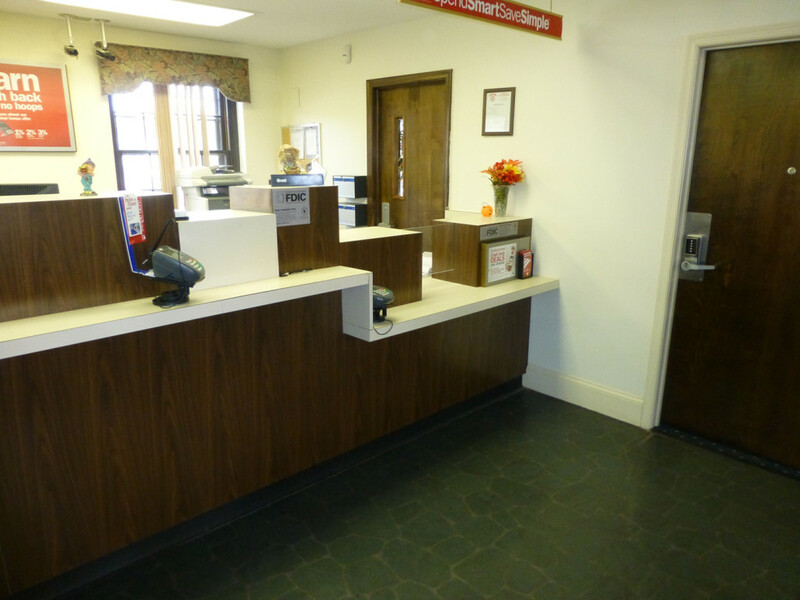 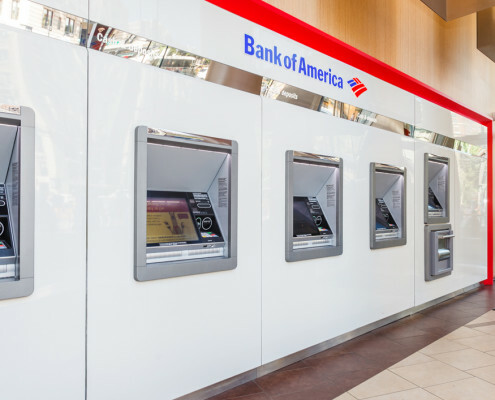 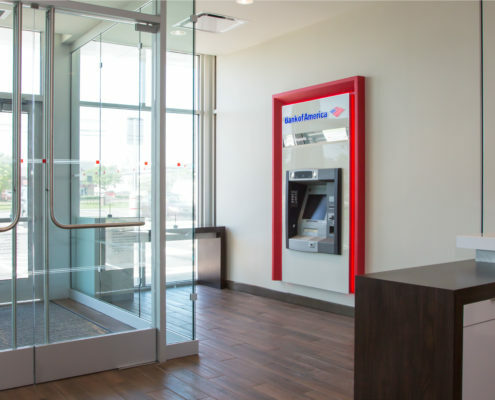 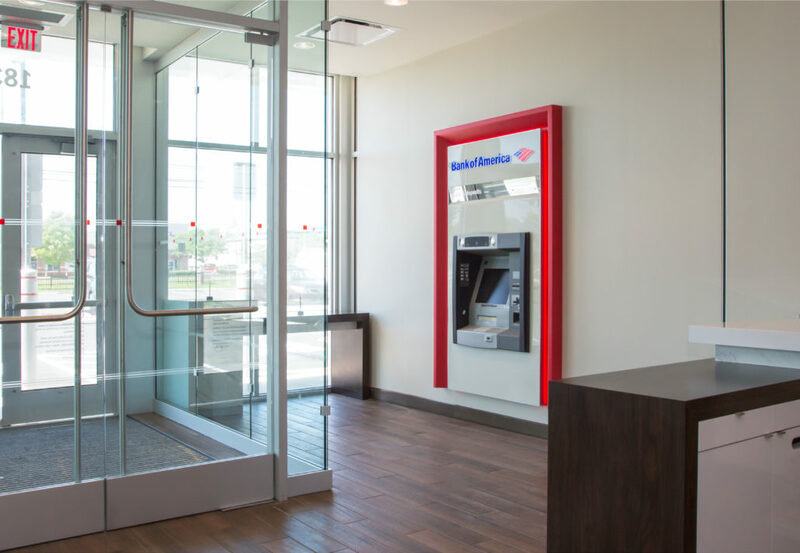 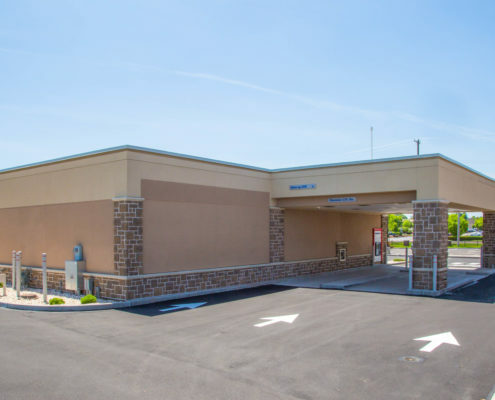 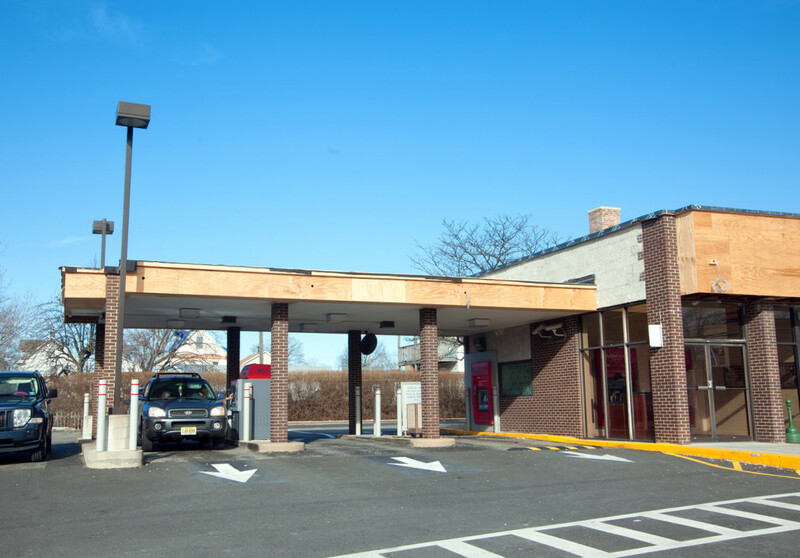 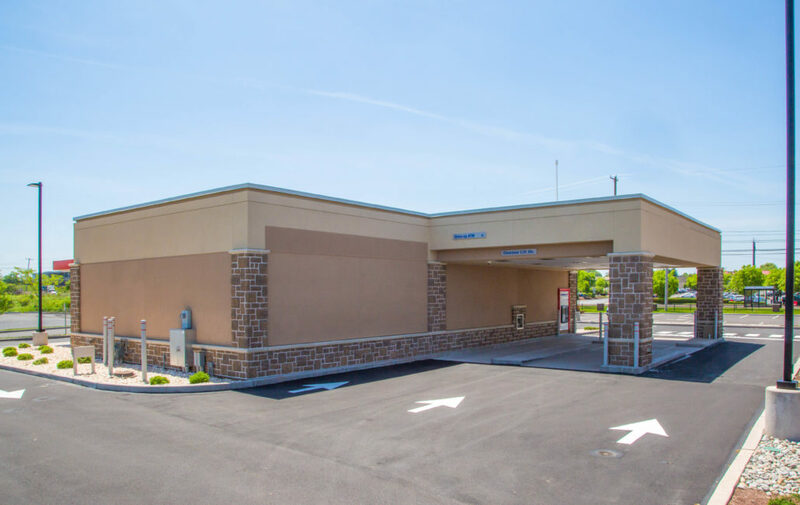 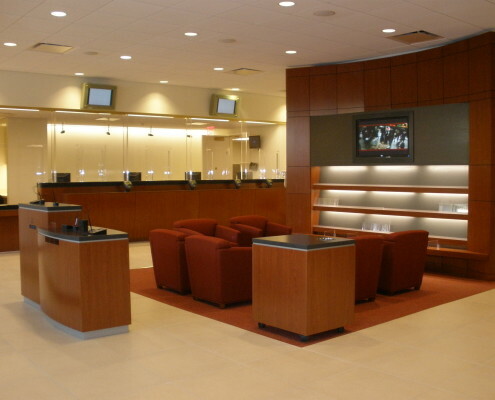 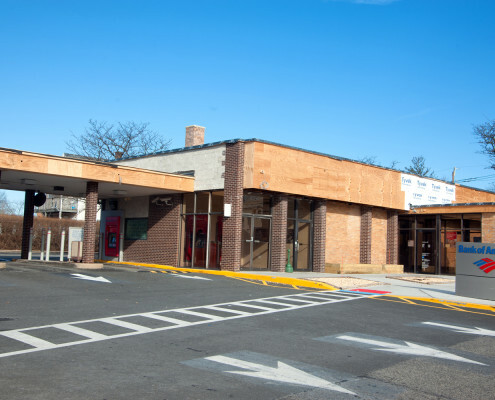 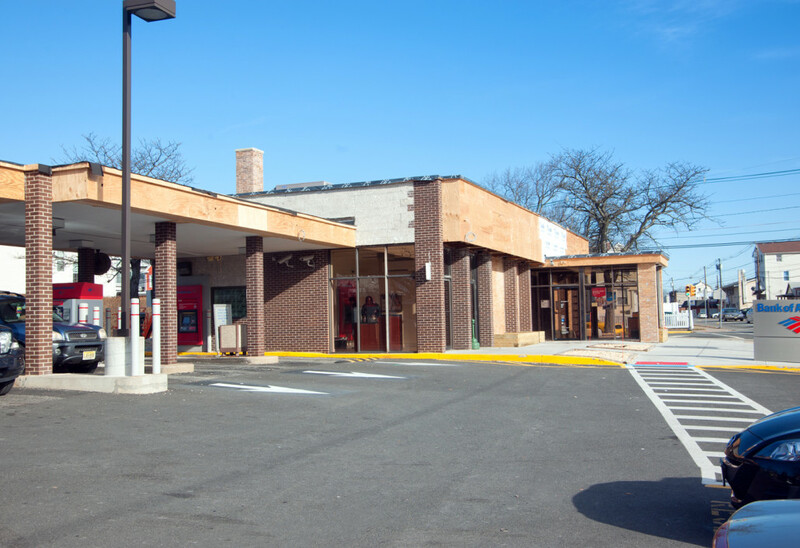 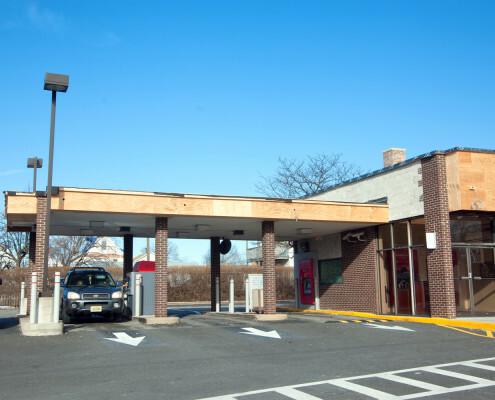 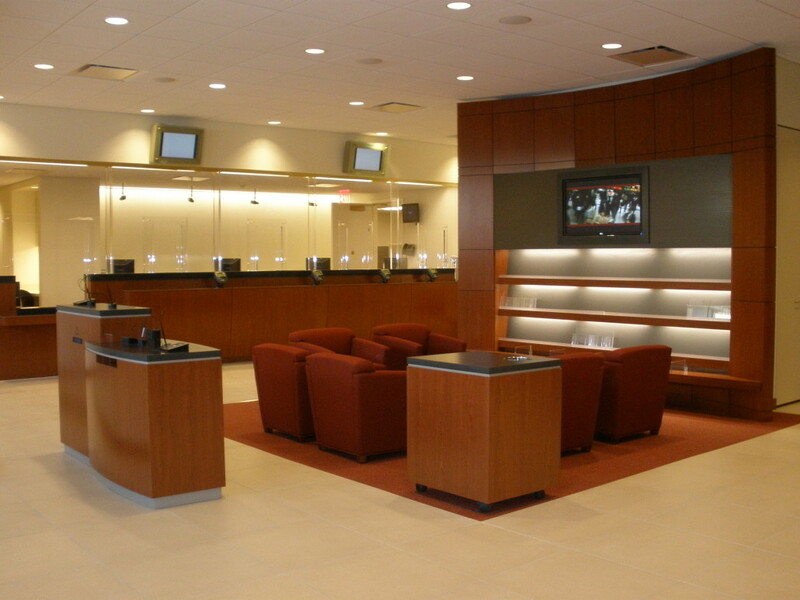 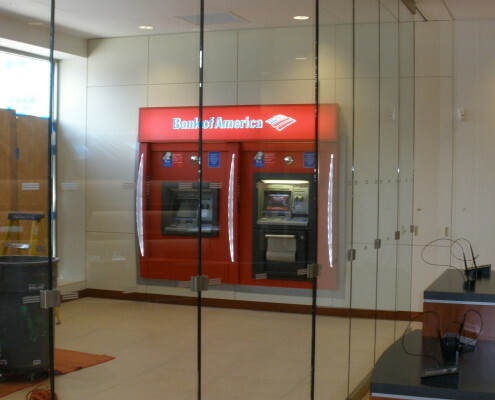 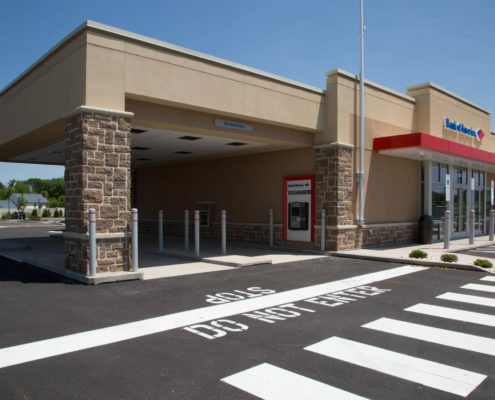 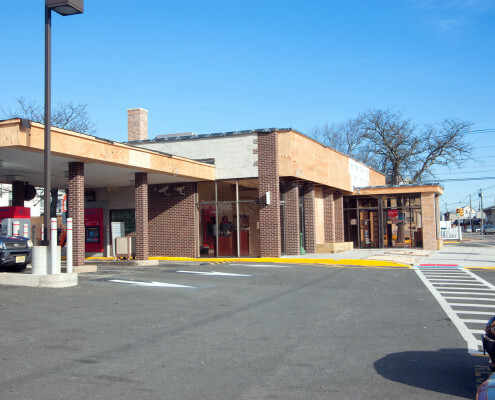 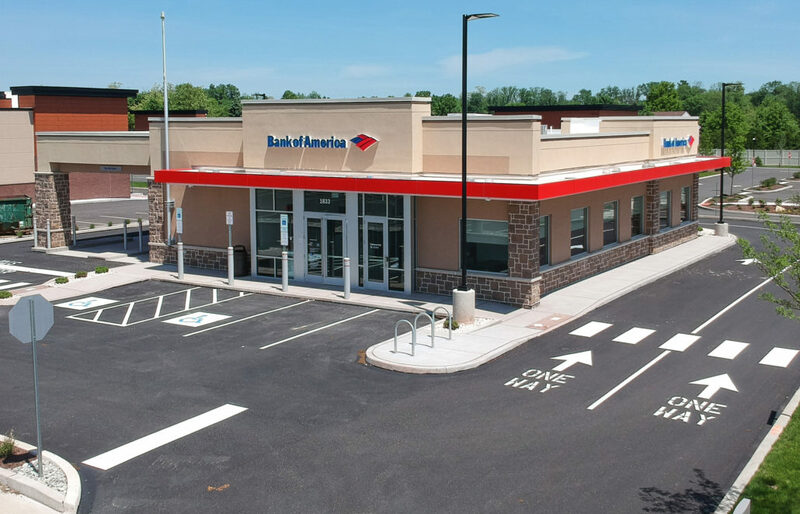 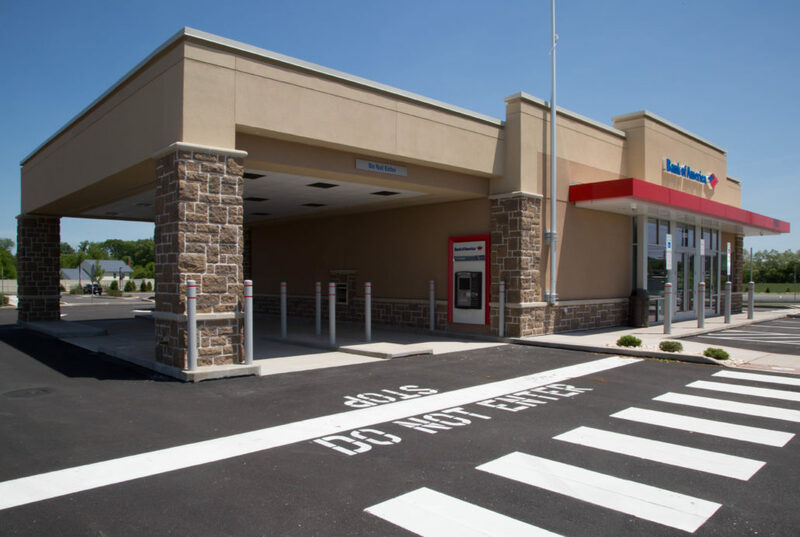 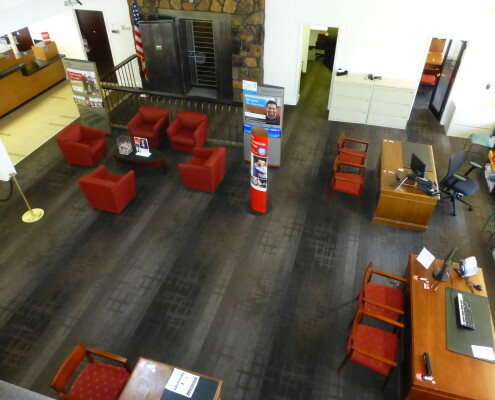 Retail banking facility of approximately 3,000 S/F renovation with three drive-up lanes.